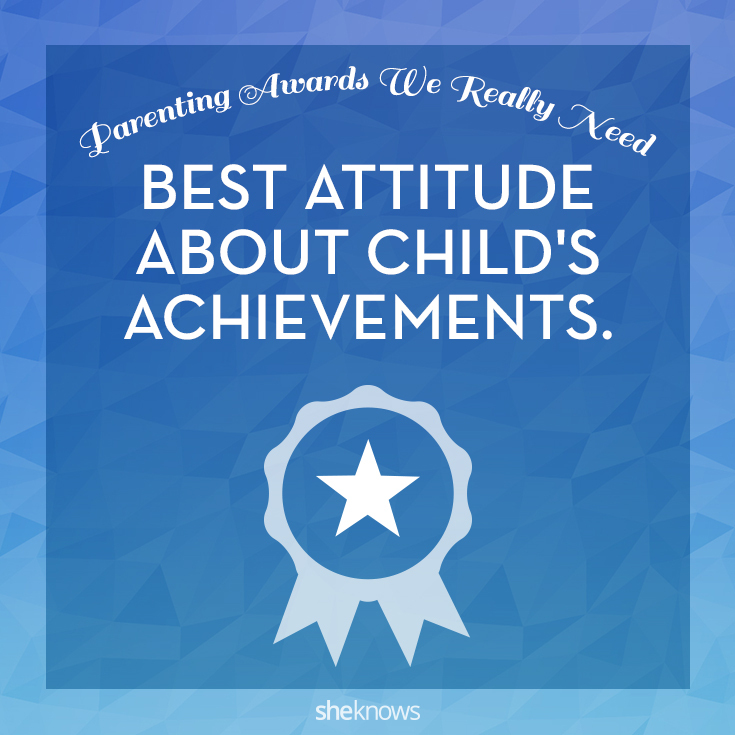 Most of us are happy to be good parents — those mugs saying “World’s Best Mom” can be a little intimidating. 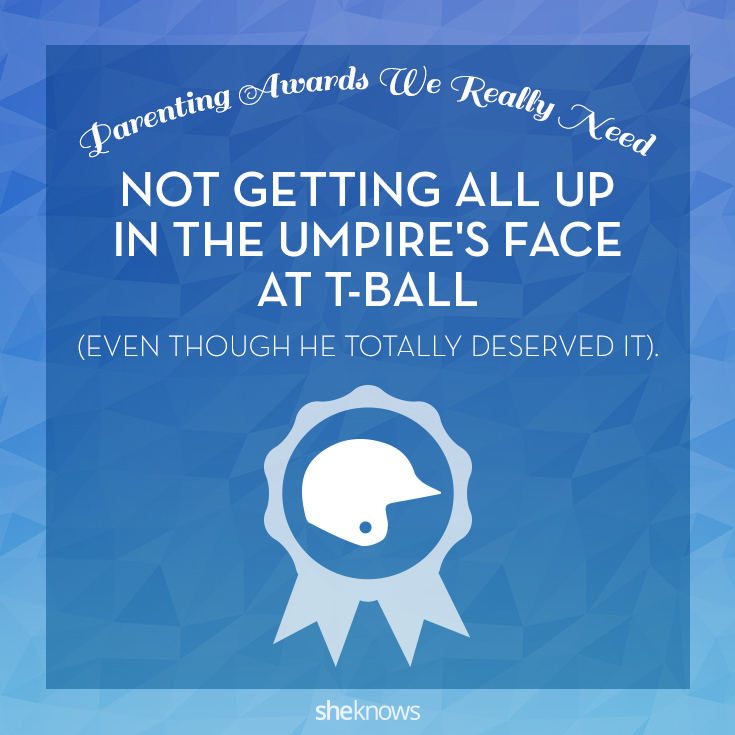 We’ve all had moments of frustration, anger and exhaustion that can make “best” feel out of reach, but there are still some trophies we wish were handed out on behalf of parents everywhere. You can still put coffee in a trophy just like you can a mug, after all. (Having the time to finish drinking that coffee is another matter entirely.) 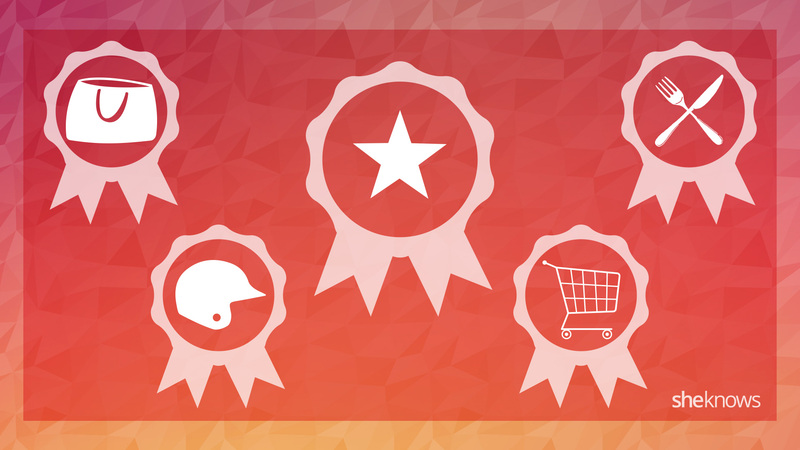 Which of these awards do you deserve? No hurt feelings, no ensuing Facebook argument about the merits of essential oils, no need to shell out $50 to keep the peace. 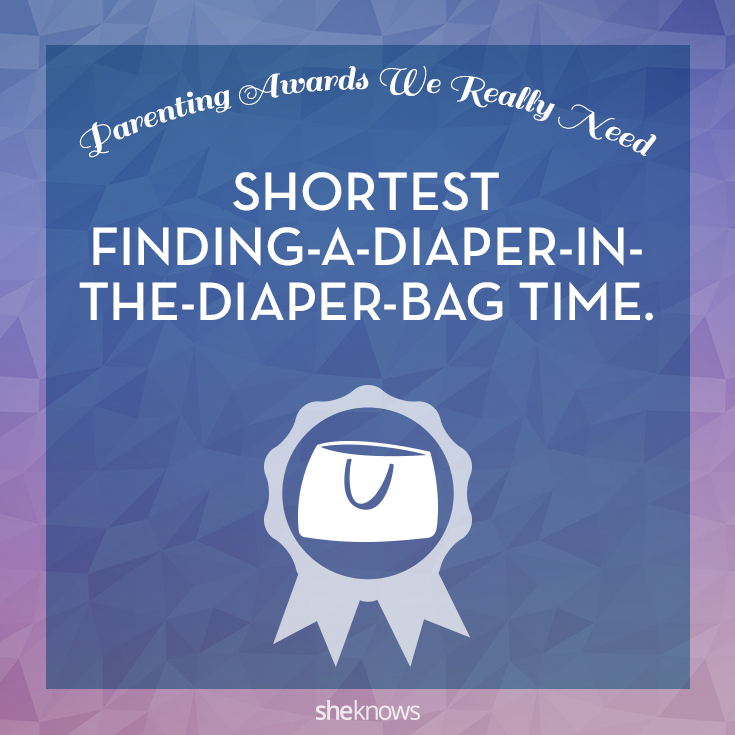 Does your 18-month-old already know his letters, but you’ve never brought it up unless asked? Or does he still not say any words besides “dog” and “more,” but you don’t bemoan your developmental concerns to your friends during every conversation? 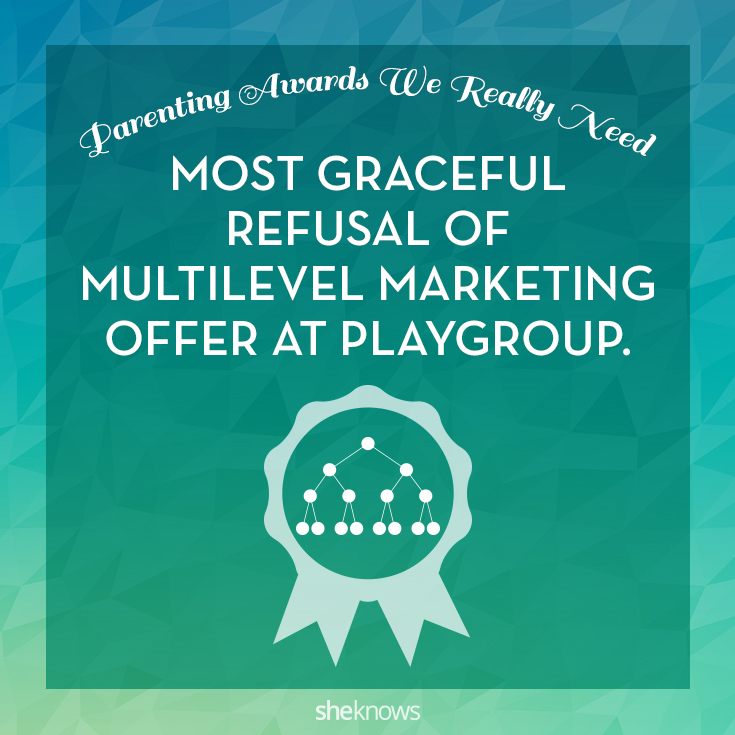 Or is your child somewhere in the middle, and you refrain from quizzing your fellow mom friends on their kids’ progress every week to compare? Either way, you are a winner. We thank you, and so do your children. 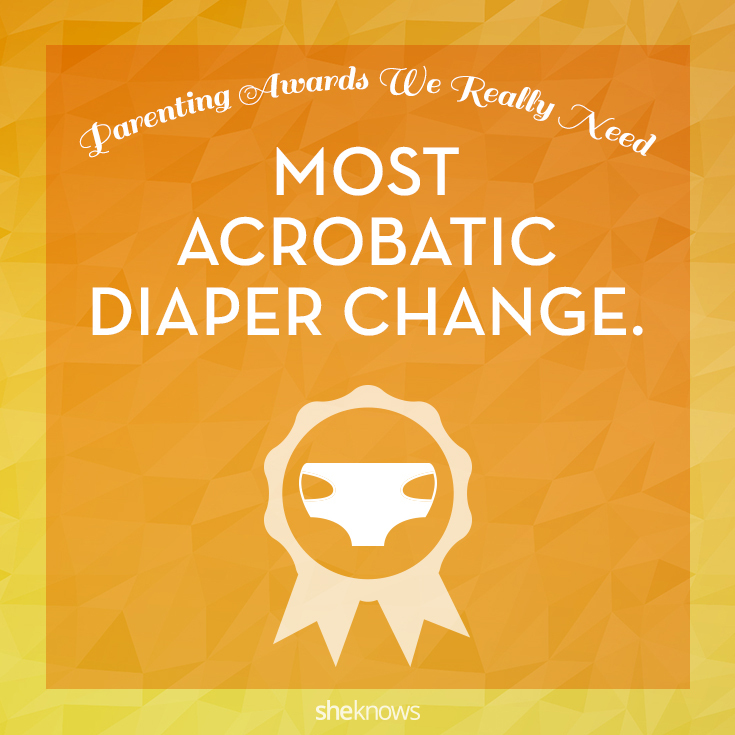 Last year’s winner: balanced on one foot with baby on the other knee and the wipes packet in her teeth. 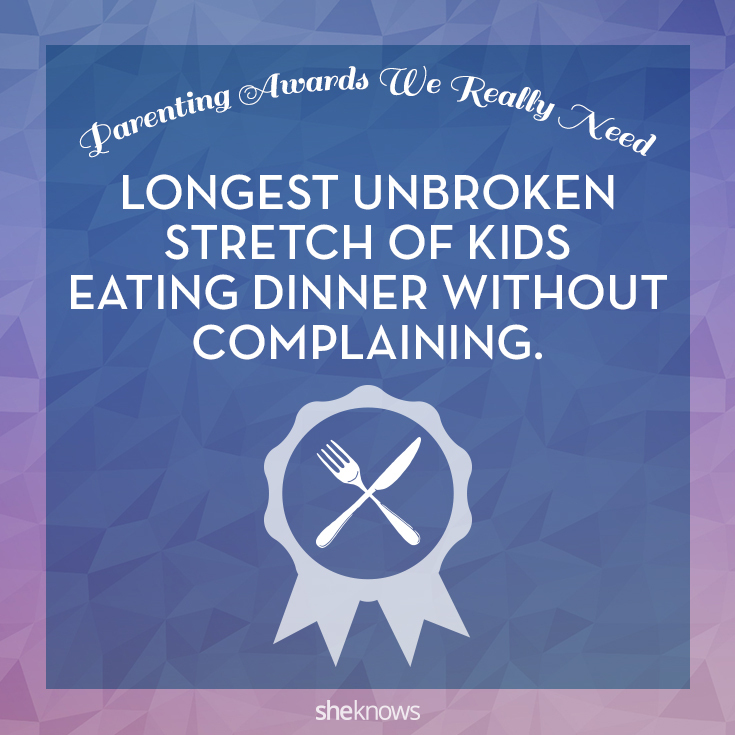 You can have another trophy if you teach the rest of us how to do it too. 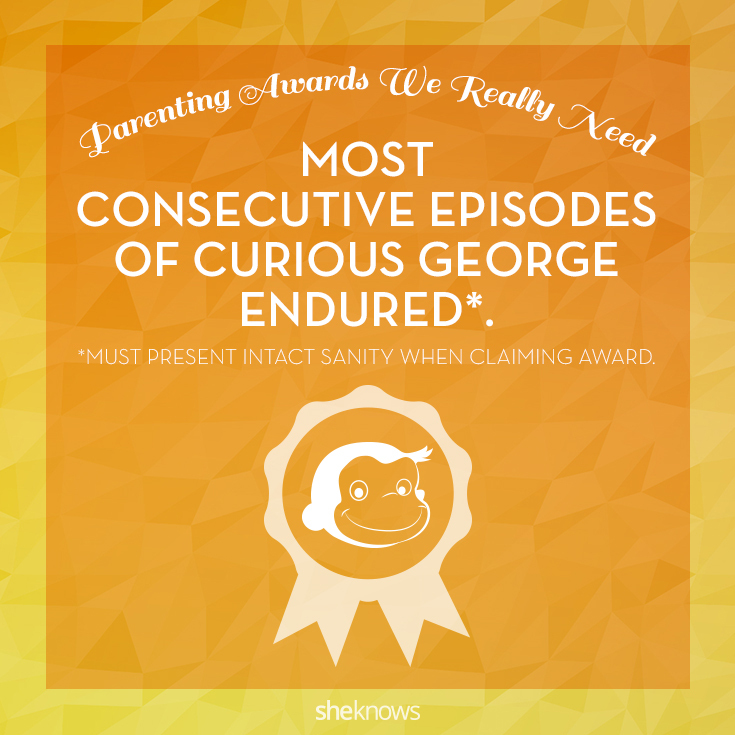 Must present intact sanity when claiming award. 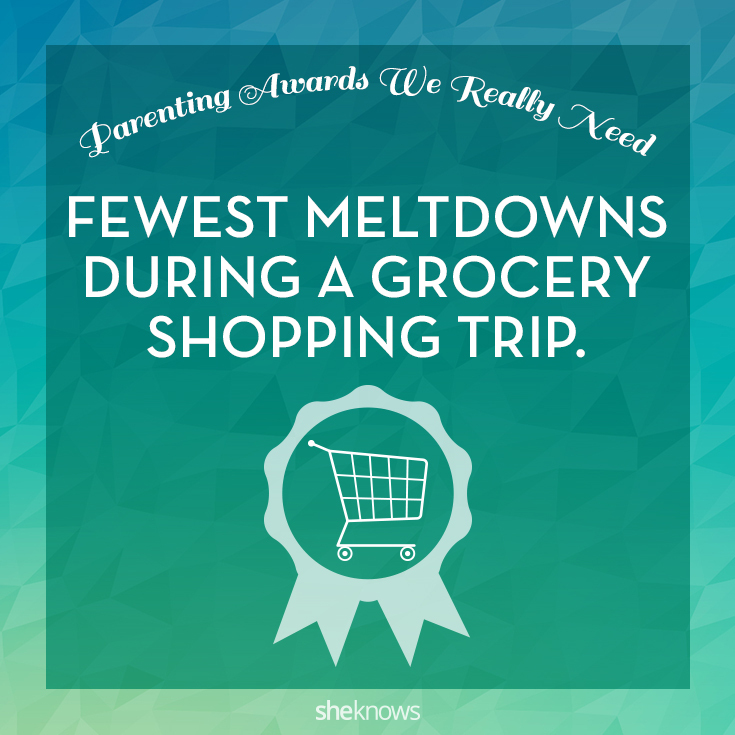 Your meltdowns and the kids’ are tallied cumulatively, so take that into consideration when deciding how many things you need and whether to risk a trip down the candy aisle. Don’t bury it under three changes of clothes, half a dozen snack options, a small library’s worth of board books and the iPad. At least not if you want a shot at the title, champ.